An online forum and message board for The Potters Guild of Wallingford, PA. The Potters Guild :: Welcome All :: Events & Shows! Our 10th Annual Empty Bowls Outreach is fast approaching. Contributions of handmade pottery bowls are welcome. 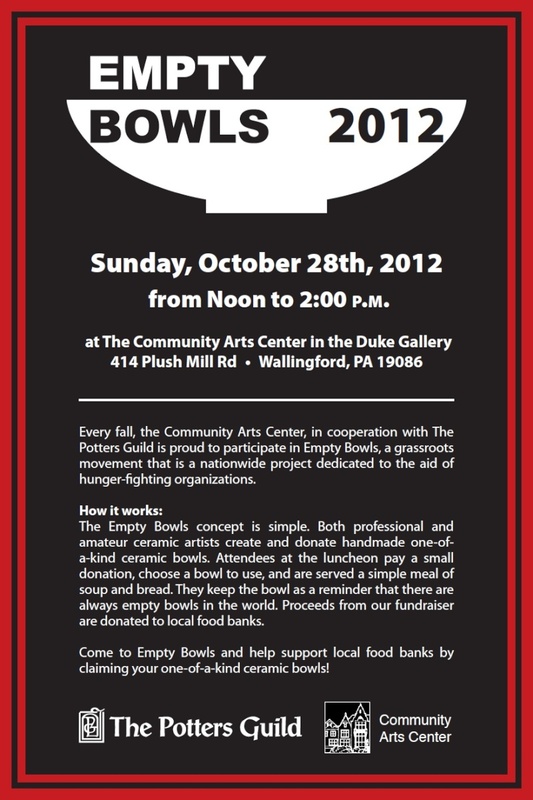 This year Empty Bowls will be held on Sunday October 28 at the Community Arts Center in Wallingford. Note: Thread updated to add to Calendar.